Are you worried about your grey hair? Greying hair is a natural process associated with ageing. If it happens at very young age, then it is obviously a cause of worry. Nature is providing many herbs which can be used for preventing grey hair. If you are one of the victims of grey hair, immediately you have to think about getting rid of it because it is a fact that grey hair grows four times faster than normal hair. Using chemical based hair products. Apply cow’s milk butter on your head. 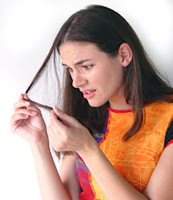 Massage properly into hair roots at least twice or thrice a week. Leave it for 10 minutes, then rinse well. Take the ginger, grate it and mix with honey. Eat this mixture daily to get rid of premature grey hair. Indian gooseberries are very good for treatment of grey hair. Boil few pieces of Indian gooseberry (Amla) in coconut oil till it turn black. Apply this mixture on your hair and massage them gently. Use Indian gooseberries in your food as well. You can consume it in many ways like raw, juice and chutney. Aloe vera is also found to be very effective in the treatment of grey hair. Apply Aloe vera gel in your hair daily and massage the hair roots gently. Curry leaves are also very useful in preventing grey hair. Dip curry leaves in coconut oil and heat it for some time. After getting cool, use this oil for massaging your scalp. Include curry leaves in your daily diet by using it in food recipes. You can use Henna to provide good natural color to your hair as henaa is a natural dye. Take the leaves of henna and add it into coconut oil and boil this mixture until it turns brown in color. Apply this paste in your hair and once it is dried , wash it. Mix almond oil and lemon juice in equal quantity and apply on your scalp for 30 minutes. It is very good home remedy for curing grey hair.